Little ones will gobble up plenty of attention in this personalized baby Turkey sleeper—enjoying cozy comfort from Thanksgiving dinner to post-turkey nap! Donning a turkey in front and feathers in back, the custom onesie is great for napping, crawling and quick diaper changing … snapping all the way down to warm, built-in footies. We’ll add your message of choice in back for personalized style at no extra charge. Specify message; limit 2 lines, 15 letters/spaces each. Specify size: 3, 6, 9 or 12 months. Custom baby clothes made with 60% cotton/40% polyester; machine wash. Imported. Adorned with spectacular fall leaves and twinkling lights, this lighted leaf garland lends color, texture and soft illumination to any setting. Graced with lush, decorative leaves in natural autumn hues, its 20 long-lasting LED lights glow without cords or plugs—and a discreet switch lets you power on and off without disrupting your display. The lighted garland is perfect for stair railings, pillars, mantle, above doorways and more—wherever you need a touch of autumn splendor! Requires 3 AA batteries (not included). Wire, plastic; for indoor/protected outdoor display. 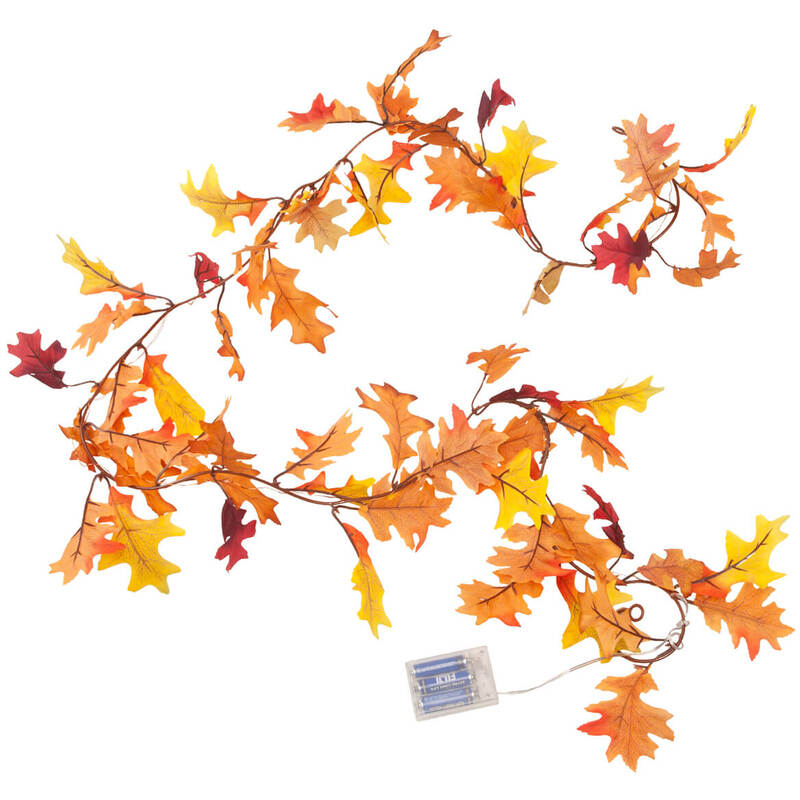 Fall garland measures 77″ long overall; each leaf approx. 3″ wide x 4″ high. 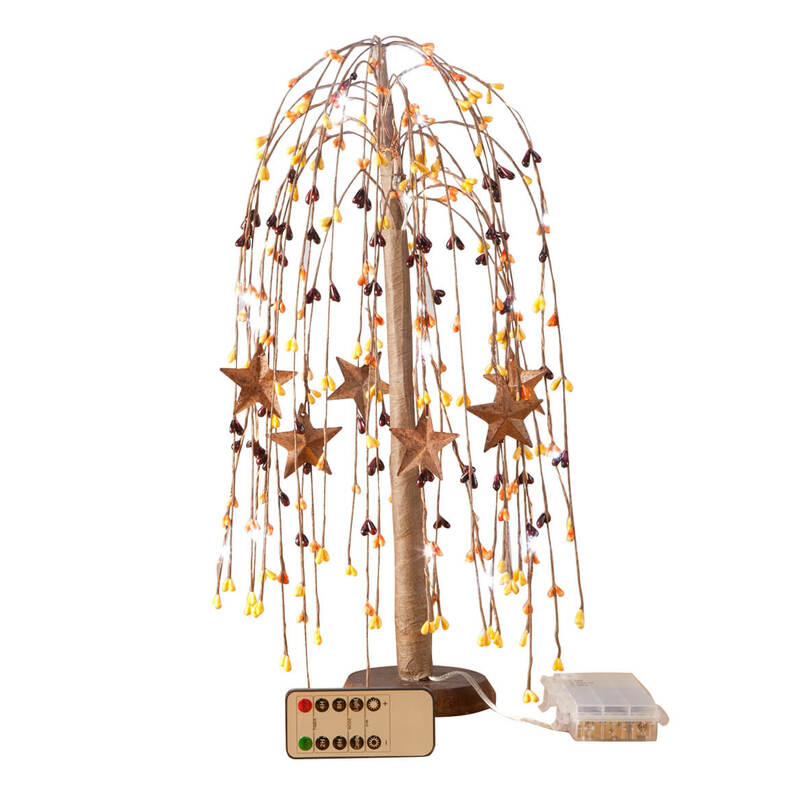 Graced with warm autumn colors and 6 metal stars on its wispy willow branches, this lighted fall willow tree glows with the twinkle of 15 LED lights. Unlike the real thing, our ornamental tree requires no pruning or watering … and its battery-operated lights need no wiring or electricity. It includes a remote control to easily set lights on slow flash “candle” or “constant” settings, plus a timer to set in 2, 4, 6 or 8 hour increments. A beautiful addition to your home, this artificial tree is designed for indoor outdoor use in rattan, plastic and wood. 9″ wide x 16 1/2″ high. Turning everyday gourds and pumpkins into festive fall “critters,” these metal gourd decorators by Maple Lane Creations™ make decorating fun and easy! Simply poke the sturdy pieces into gourds, mini pumpkins or squash to create an instant turkey, owl and squirrel. Exclusively crafted by Maple Lane Creations™, the reusable pumpkin decor pieces are designed for indoor/outdoor use and destined for fun, year after year. 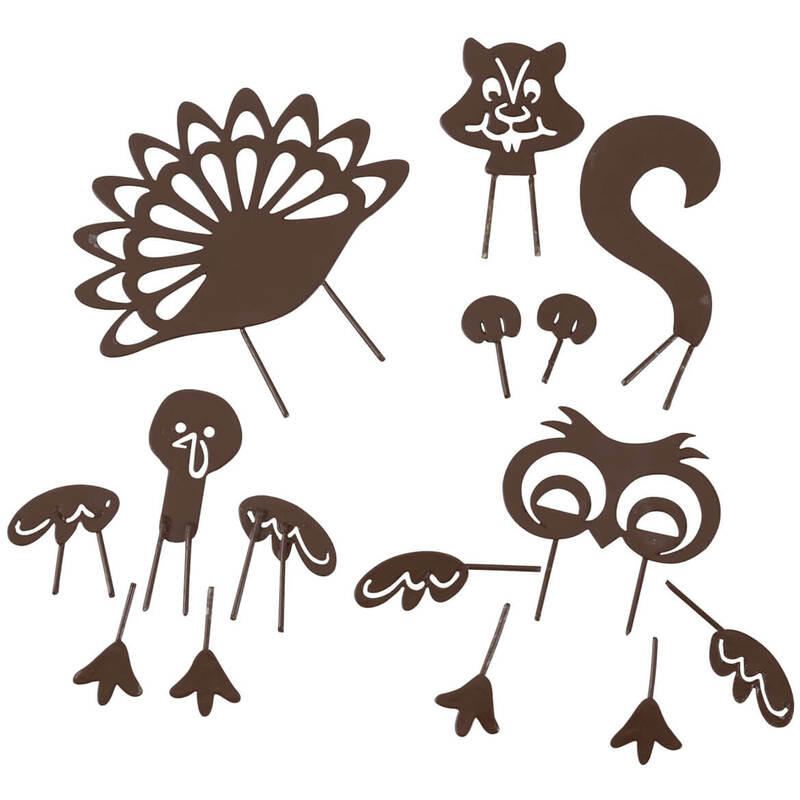 Set of 3 includes: turkey (6 pieces; 1/2″ wide x 1/2 high” to 3″ wide x 2″ high), owl (5 pieces; 1/2″ wide x 1/2″ high to 1 3/4″ wide x 1″ high) and squirrel (4 pieces; 1/2″ wide x 3/8″ high to 2″ long).